What's this?! A furry ornament! Nibblet likes to play in the Christmas tree. On a separate note, I'd like to thank Speedy the cheeky house bunny for thinking of me and giving me a star for the Blog of the Year 2012 award.Thank you Speedy! Be sure to visit Speedy! I'll pass a star along to my pal Jet from Hey... It's Jet Here. Please be sure to visit him, he's super awesome! 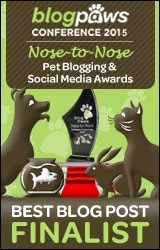 There are a lot of rules to this award that I'm sure everyone has memorized by now so I'll bypass those... And sorry to my anipals, I'm a little behind on reading everyone's blogs due to a stomach flu. My whole family has it! Luckily, it seems to be passing now though. PS - Don't forget to enter my current giveaway! Enter Here! 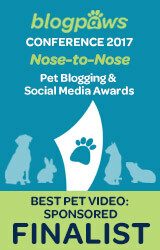 I've joined the BlogPaws Wordless Wednesday Blog Hop. 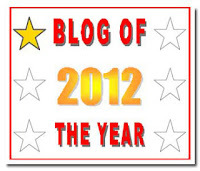 Be sure to visit some of the other blogs in the hop too! Yikes I nearly spat my tea all over the keyboard. Have a wonderful wordless Wednesday Nibblet. Hehe sorry to startle you Miss Molly! Thanks for stopping by Gizmo! Visiting from Wordless Wednesday. My kitties would be fighting over this...Paws-up for cuteness!!!! A tree mouse, instead of a house mouse. Well, I suppose it's a really a rat huh? Cute just the same. Aw, what a cute wittle tree decoration! Congratulations on your award - it's well deserved. Happy Wednesday! Very cute; love that furry ornament! Congrats on the award!! It's a real ornament, the best kind! Soooo cute!! 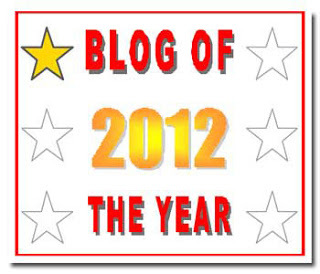 Concatulations on your award! Hi Ann thanks for sharing that photo, it bought back memories of when we kept rats and they liked to climb the Christmas tree. It's her first Christmas, she hasn't gotten to climb in it for very long so maybe I'll let her explore it more later tonight. Adorable! She makes a pretty little ornament! Aww how cute, more ratties! They sure do like to get into everything and are always busy! Niblet, you make the cutest ornament, you bring LIFE to the tree! BOL... oh yeah, I'm on a roll... Happy WW. You're welcome, it's definitely well deserved! Hope your mom gets to feeling better soon and thanks for the well wishes. I seem to be back to feeling normal today. So cute!! 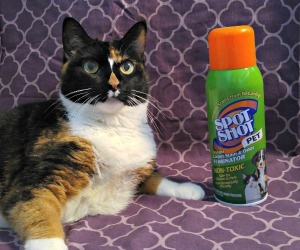 Good thing there are no cats! 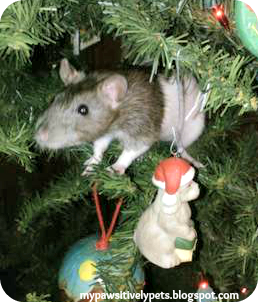 I pride myself as not bothering the Crhistmas tree, but I'd certainly climb it for that nommy treat! Good job CK! Many of the kitties seem to think she looks rather delicious! Does Niblet knock off the ornaments? Well actually this was a quick photo shoot. I haven't really given her very much time to explore the tree yet so I'm not sure to be honest. I somehow think she probably would knock them down though. Niblet is the cutest ornament I ever saw! All you need is a little Santa hat and you would be in the perfect spot to see the real Santa come and give you wonderful nibbles! Have a wagging weekend. You make a furry nice ornament, Nibblet! You know, you'll get first pick of the pressies if you stay there! Well, at least that's a pet that won't be knocking the tree over. Cute. Hehe good point Mizz Bassie!